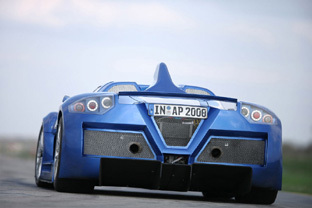 The Gumpert Apollo is essentially a race car modified for the road. 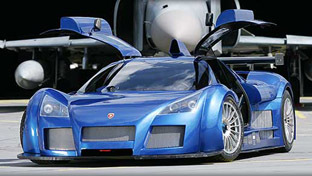 The Apollo is the end result of a combining of skills between Roland Gumpert - ex boss of Audi Sport, Roland Mayer - owner of MTM, and Audi. 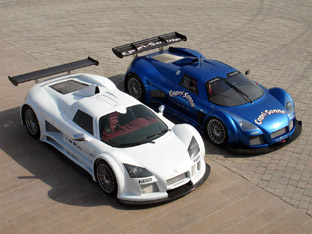 Audi played somewhat of a back seat role in the Gumpert Apollo's production. 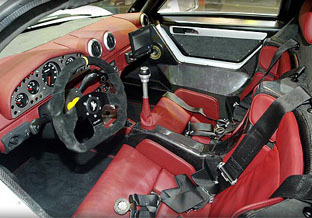 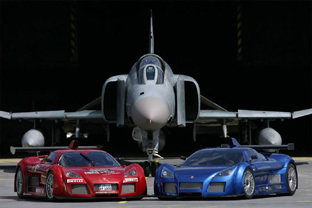 Audi technology is available to the Apollo, however the car cannot directly rival existing Audi products, and Audi owns any subsequent patents from the Gumpert Apollo's development. 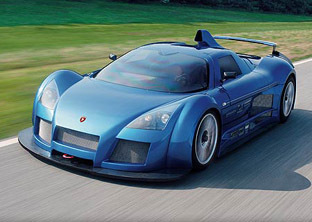 The Gumpert Apollo concept uses an Audi sourced 4.2 litre V8 (like the one used in the new Audi R9 sports car) enhanced by twin turbochargers making a very respectable 650 horses, all this power runs through a six speed sequential transmission to the rear wheels, and the car is capable of reaching 60 mph in 3 seconds. 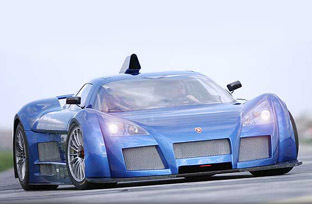 The Gumpert Apollo is a two seat mid-engined race car which makes few concessions to be road legal. 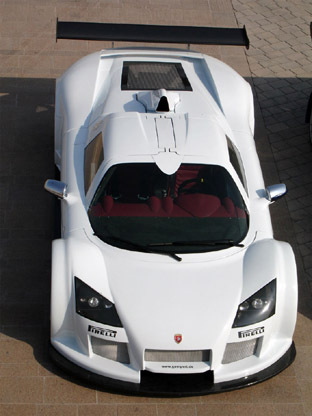 Overall the car has a purposeful look, Audi design influence creeps into the centre grille, other than this the concept is quite original, if somewhat rough. 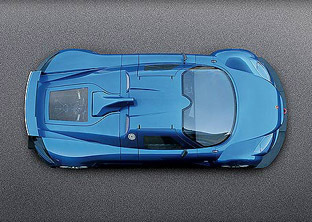 The front wheel arches hug the tires in a perfect circle before dissolving into the multiple vents down the sides. 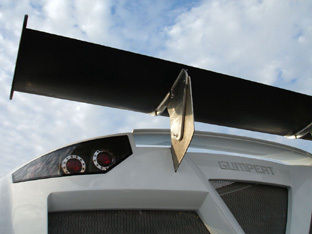 Noticeable race inspired design cues include the front lip air splitter and and roof mounted triangular air intake, no doubt necessary to feed the hungry monster lurking below.